The 1 oz and 2 oz. 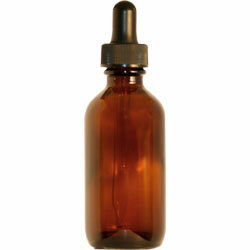 size bottles, of single and combination herbs, come with a dropper, and the larger size bottles come with a plastic cap. Our droppers are made from quality rubber and glass for years of solid performance. And our plastic caps that come with the large bottles are made with quality hard plastic and a soft POLY-SEAL interior for maximum freshness. From Keshet Cohen of Seattle, Washington on 4/4/2015 .